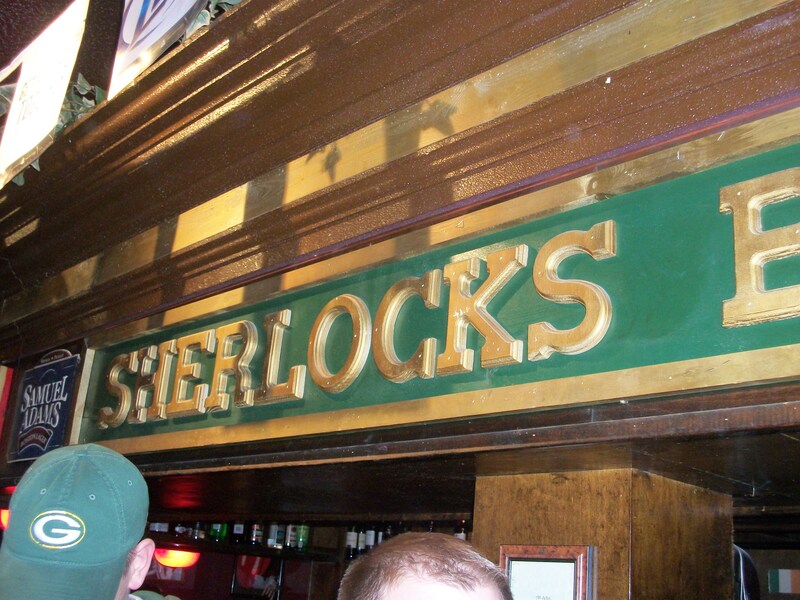 When we got to Sherlock’s Baker St. Pub in Arlington I knew I was at the right bar. 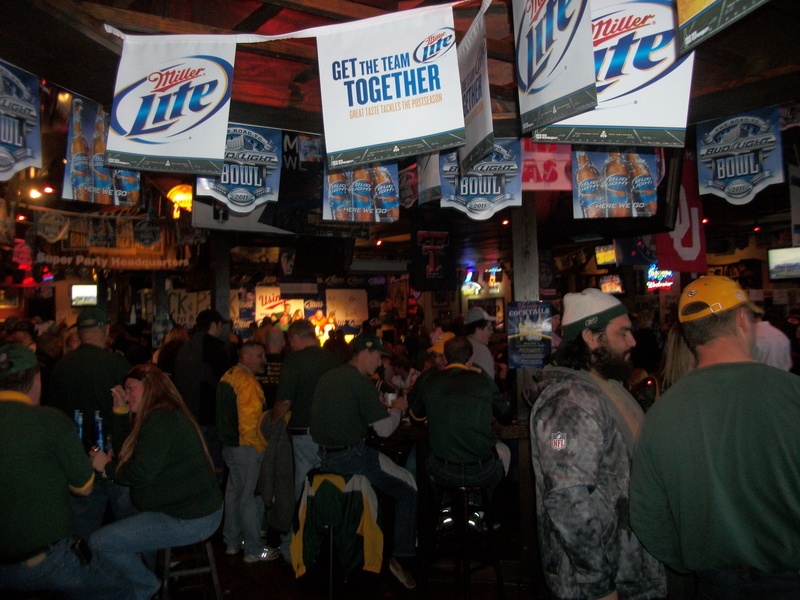 The place was wall-to-wall with Packers fans. As we got there the fan rally hosted by WDUZ The Fan 107.5FM out of Green Bay was just wrapping up. It was good to see Bill & Rookie (morning hosts on WDUZ) outside of their normal element and mingling with the crowd. The crowd was a mixture of people from all over the world. I met some fans that came in all the way from Australia for the game. Unbelievable that the numbers of fans that the Packers have really does reach to all corners of the globe. 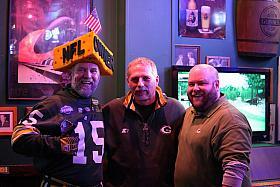 Aside from talking to a lot of random fans, I also met up with a handful of Green Bay locals. We planned on meeting up with some of them, and others were unsuspected. Either way, we had a blast. Props to Mike, Andy, Johnny, Chris, Matt, Jesse, Stacy, Marie, and Julie for making the trip to Dallas for the big game. I’m glad I got to share such an awesome experience with other people from Green Bay. Most of my evening at Sherlock’s was spent in the back room hanging out with the crew from CheeseheadTV. These guys organized a Packer fan get together otherwise known as a “TweetUp”. Hanging out with this crew was a blast. I’m friends with all of them on either Twitter or Facebook and it was awesome to finally meet them all. Brian Carriveau, Corey Behnke, Jayme Joers, Alex Tallitsch, “Jersey Al” Bracco, and Steve “The Owner” Tate all showed up in full force. The stories told that night were phenomenal. Shortly after Midnight I realized I was flying solo at Sherlock’s. My brother and the rest of my crew left me behind as they moved onto the next bar. I hitched a ride to Humperdink’s in Arlington. They decided on this place because it was right across the parking lot from my brother’s hotel. I arrived and was pleasantly surprised with this place. There was a bigger mixture of Packer & Steeler fans and the DJ was playing to both crowds. He was playing songs that both fan bases appreciated as their teams’ songs. Also at Humperdink’s we met up with the rest of our crew. By now the 9 of us were together. My brother Aaron, Scott & Chad Wyman, Scott Schoen, Joe VandenBerg, Ryan McCormick, Justin & Josh Wisneski, and myself finally got together after flight delays and all sorts of other mishaps. Once we got together the beers and shots were flowing. Unfortunately for us Humperdink’s had to close at 2am. Friggin’ lame Texas laws. Scott, Joe, and myself jumped into a cab and headed back to Grand Prairie while the other 6 stumbled across the parking lot to their hotel. As much as we all wanted to continue our drunken stupor, we knew it was best we stop when we did. Because we had to wake up the next day to cheer on our Packers in the SUPER BOWL!!! second pic down, guy on the right with the gray jacket? Thanks Kyle for sharing your Super Bowl experiences with us. Makes me feel like I was there as well.